Being your own boss and doing work on your own timings while relaxing at home seemed like a dream. But now the time has changed, you can also earn online through freelancing. If you are looking to earn money online, then working freelance is the best option for you. Moreover, people prefer to work online so they can have some family moments or take out time for themselves. And the good thing is that there are top freelance sites to earn money online available today which gives you a platform to work freelance. As a matter of fact, starting your career as a freelancer can also help you learn things like how to deal with the clients and meet their requirements within their given time frame and will do you discipline. Not to mention, being a freelancer is not as difficult as it sounds, but there are some rules to follow to be a successful freelancer. You need to make yourself available to grab the client’s attention. Be negotiable. Start with lower rates and gain more experience as well as reputation. Complete the work in the given time. Almost all freelance sites have ratings for freelancers. With the passage of time, if you will work hard and do great, you will get a good rating. Good ratings means more opportunities. Several freelance networks have arisen to provide the platform for the freelancers and employers to get connected. Listing below the top freelancing sites to earn money, giving you an overview of them, which will help you in getting started with your online career. Online work, whether to write articles/blogs, developing websites or software, designing, Upwork experts can tackle any sort of projects. All you have to do is to write a clean and a neat cover letter describing your previous work and skills to get the employer’s attention and you are done. Payments are made through cards and PayPal. It is the merger of two major leading freelance sites oDesk and Elance. 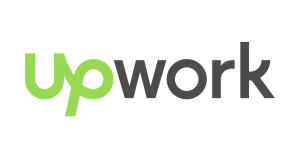 Hence, Upwork has become the one of the World’s largest network of freelancers. 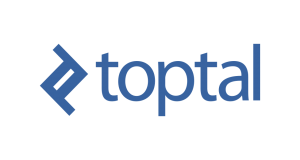 Toptal is one of the widely-used freelance sites right now offering developers and designers the platform to get connected to the employers. Toptal is fully a remote team with no office. With a completely new and different approach, it has become the first choice for many freelancers to kick-start their work. 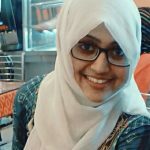 Freelancer.com is one of the top freelance sites to earn money online, connecting over millions of employers and freelancers globally, offering them the variety of fields to work on from sales, marketing, accounting, designing, developing, science, writing and much more. Post the project and within minutes you’ll get competitive bids. You can also get in touch with the employer through their 24/7 chat service, time tracker and mobile apps. The payments is released after the employer is completely satisfied with the work. With a network of 1.5 million freelancers who are eager to help in any technical, creative and business projects, Guru has gained a reputation in the field of freelancing. 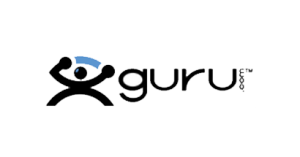 After reviewing freelancer portfolio with the history of their previous work as well as their earnings and skills, Guru has made it easy for you to find the best freelancer on their platform. Fiverr is the place where things are done in just 5$. 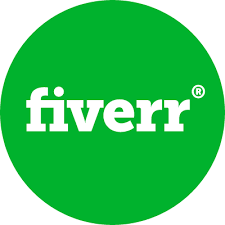 Starting from lower rates, fiverr has become the most popular freelancing platform. The gigs are fixed here. Creating fiverr accounts is no big hurdle. Just sign up, confirm your email address, create fiverr gigs and start making money online. A platform for freelancers to work just for an hour. There’s no need to stay up late and be available all the time. 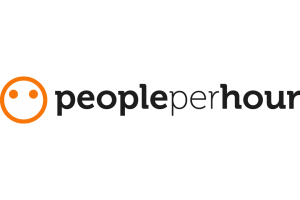 Peopleperhour is very beneficial for clients and freelancers. Happy and satisfied clients can endorse you, which can increase your ranking. Search your job, submit a proposal. After reviewing it, a down payment will be released. And start your work. 99Designs is the best place for freelance designers either animations, web or graphics. It is a design contest website. Post your best designs, the client will then give feedback to the best designs. 99Desings also provides you the platform to sell your designs online. 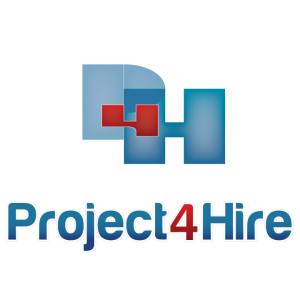 Project4Hire is a freelance marketplace for developers, programmers, writers, designers, translators, consultants, assistants from all over the world. Post the project, freelancer, then give their quotations or bids, clients will select the freelancer as per their requirement and off you go. 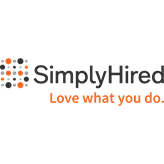 SimplyHired is another freelance platform for everyone offering variety of categories to work on. It also tells freelancers the hiring tips and helps them in the location based search. It’s a complete job directory offering millions of jobs in almost every occupation.